Linowes and Blocher LLP real estate lawyers have extensive experience representing clients in all types of commercial real estate transactions, including acquisitions, financing, dispositions, construction, development, leasing and management of real estate. Our clients include national, regional and local developers, builders, financial institutions, life insurance companies, investors, asset managers, retailers, tax-exempt organizations, universities, governmental agencies and utilities. 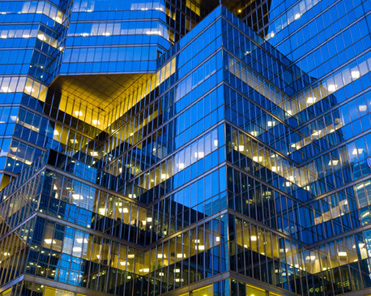 We’ve assisted clients with the acquisition, financing and sale of office buildings, apartments, condominiums, shopping centers, hotels, churches, schools, senior living facilities, power generating projects and other industrial projects in Maryland, Virginia, the District of Columbia, Delaware, Pennsylvania, North Carolina and beyond. Our experience covers both single-asset and multi-property portfolio transactions. and assist with title, survey and environmental due diligence, and represent borrowers and lenders in negotiating and closing acquisition, construction and permanent financing. We help clients with the construction phase of a project by negotiating contracts with architects, engineers, contractors and other consultants. After a loan is made, Linowes and Blocher attorneys continue to provide full service to our banking and finance clients. We regularly represent banks and financial institutions in litigation matters, as well as bankruptcy, creditor’s rights issues, foreclosures, note sales and workouts. Our litigators and bankruptcy lawyers appear in State and Federal courts throughout the mid-Atlantic region. We are known for our results oriented approach to resolving business controversies. Our bankruptcy attorneys are regularly recognized as among the top bankruptcy attorneys in the Washington, D.C. region. We close large-scale commercial and residential transactions in Maryland, the District of Columbia and Virginia. Linowes and Blocher LLP is an authorized agent for Fidelity National Title (formerly Lawyers Title), Chicago Title and First American Title Insurance Company and maintains close working relationships with the professional staffs of these companies. We represent landlords and tenants in office, retail, mixed-use and industrial/flex leasing and ground leasing transactions throughout the Washington, D.C. Metropolitan area and along the East Coast. Significant projects include 801 17th Street, N.W., 1101 New York Avenue, Capitol Crossing, Chevy Chase Center, Monument Corporate Park, New Carrollton Metro, Station Place, and UMBC Research Park. We negotiate and draft all types of design and construction agreements, based both on commonly used industry forms and custom agreements. We represent various parties in construction projects, including owners, contractors and design professionals. When construction disputes arise, our litigation attorneys represent clients in negotiation, arbitration and litigation. Our Real Estate Transactions Group works with our real estate tax appeal attorneys in representing property owners, developers and property managers throughout the State of Maryland and the District of Columbia in prosecuting appeals of ad valorem tax assessments. These tax appeals can lead to thousands of dollars in savings to property owners. Given the firm’s historic experience in land use, real estate and business financing transactions, our group is a leader in structuring, negotiating and implementing public/private development projects in urban renewal, town center and central business district areas where the viability of new projects is dependent on the State, a county or a municipality providing infrastructure, parking and other public sector improvements. Our attorneys have created a wide variety of public/private partnerships (“PPP”) with the State and local municipalities and governmental agencies. We represent developers in these deals who are providing mixed use public and private components and common infrastructure projects. Given our strong working relationships with local governments, combined with our land use experience, we have been successful in creating practical solutions that address both the private and the public sector goals for each project.